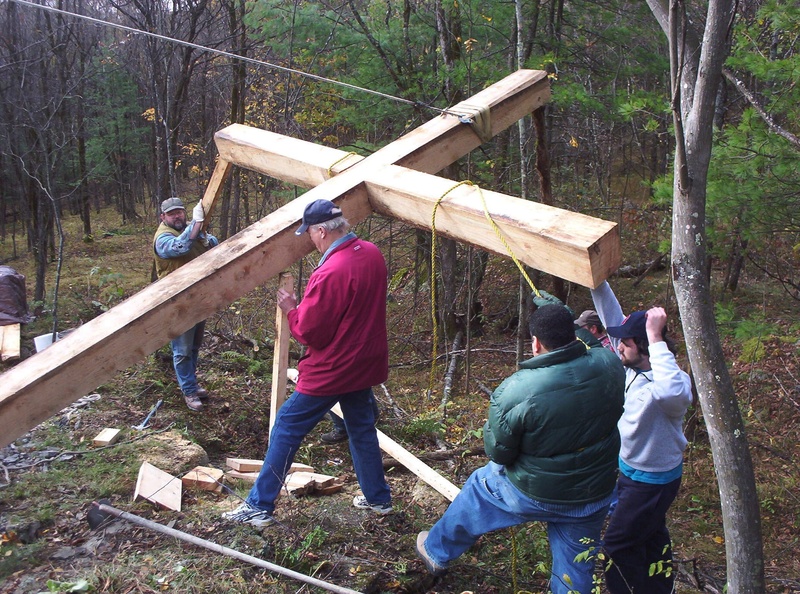 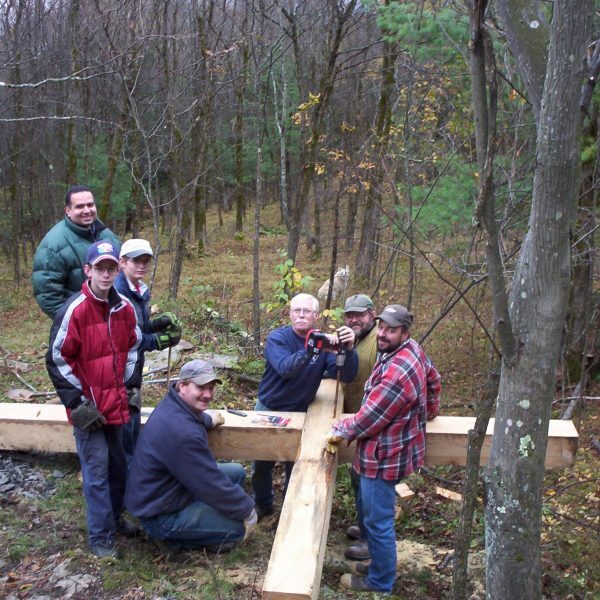 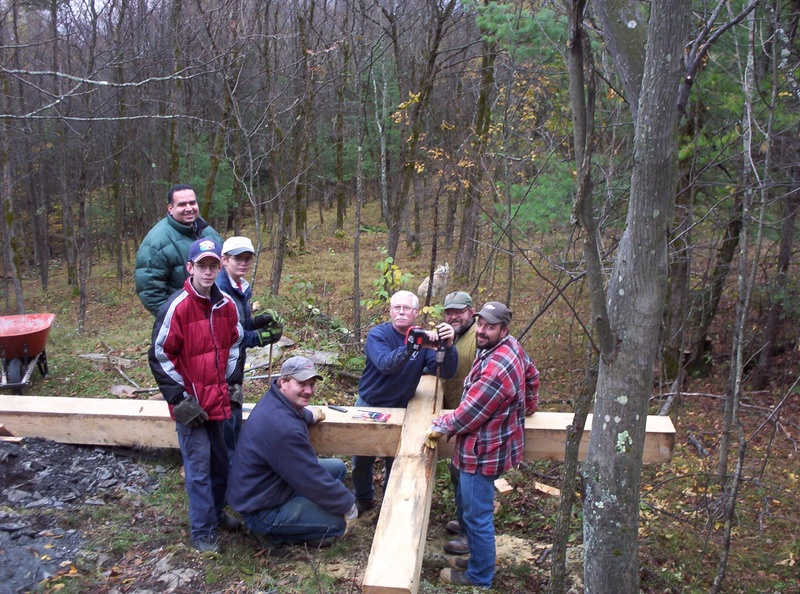 Volunteers help Don to assemble the cross. 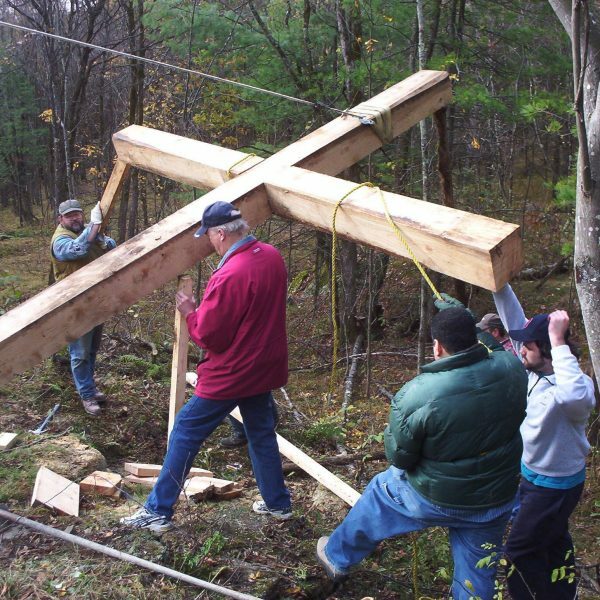 Volunteers help to erect the cross. 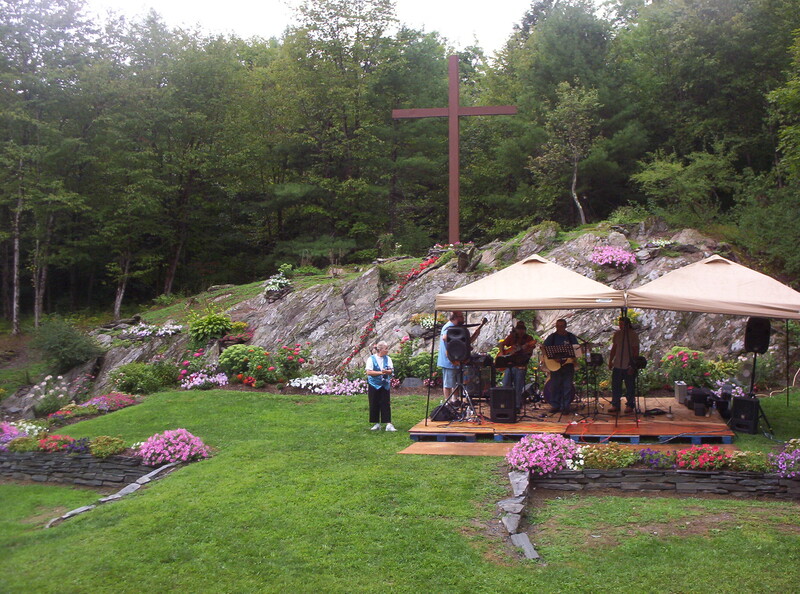 One of Don’s favorite songs, written by worship leader Karen Gallagher, is etched in slate. 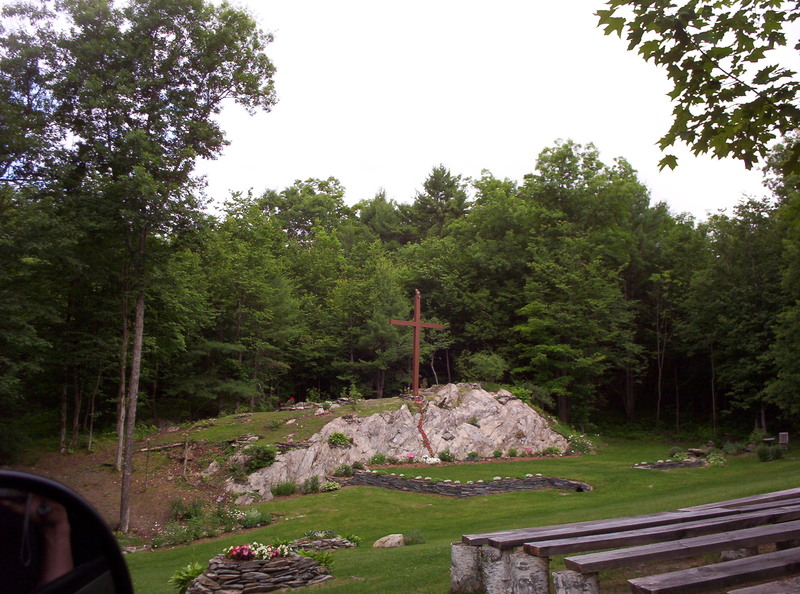 A close-up of the stone wall at the base of the ledge that holds the cross. 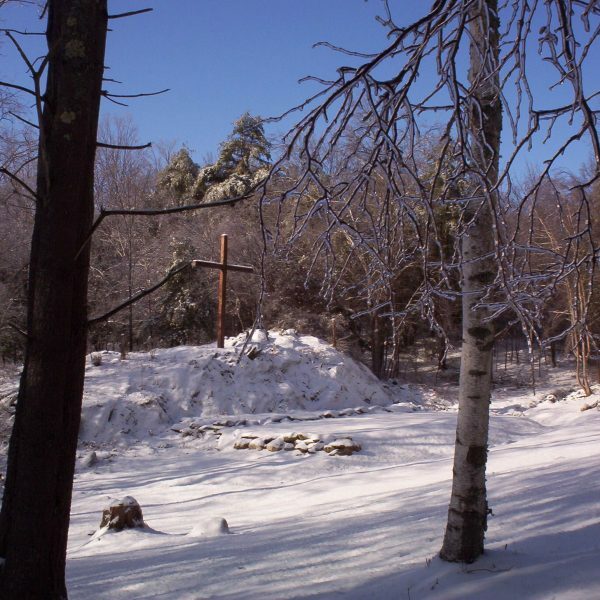 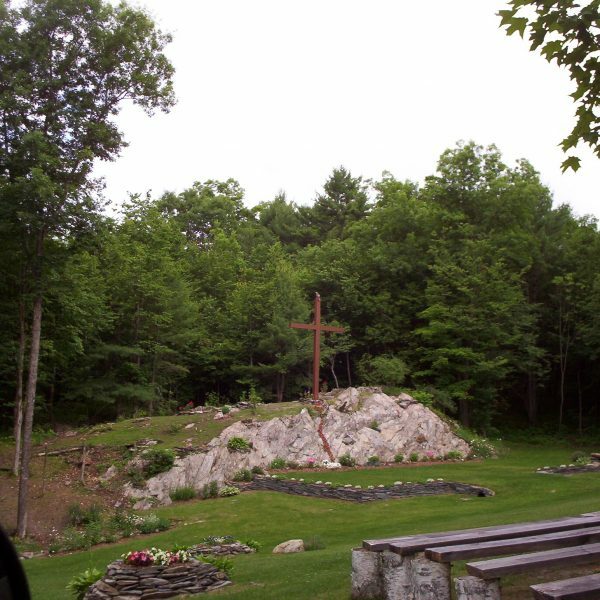 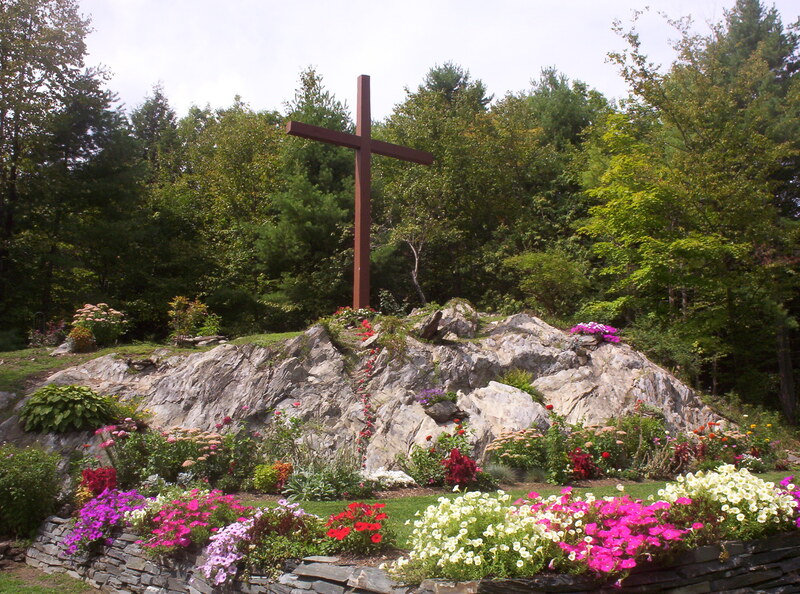 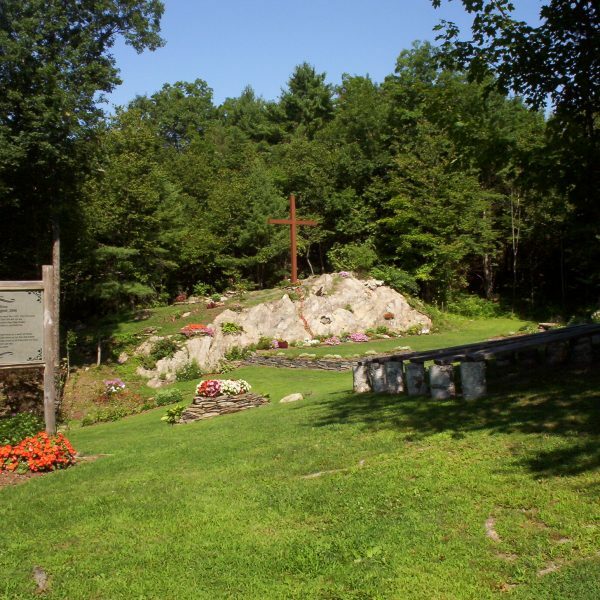 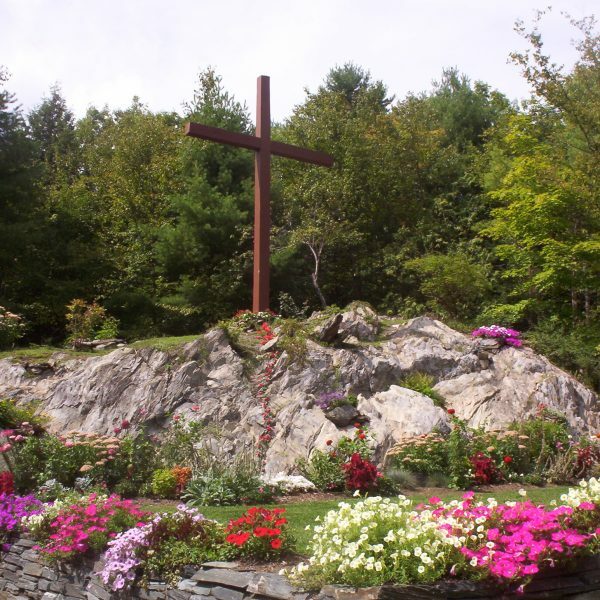 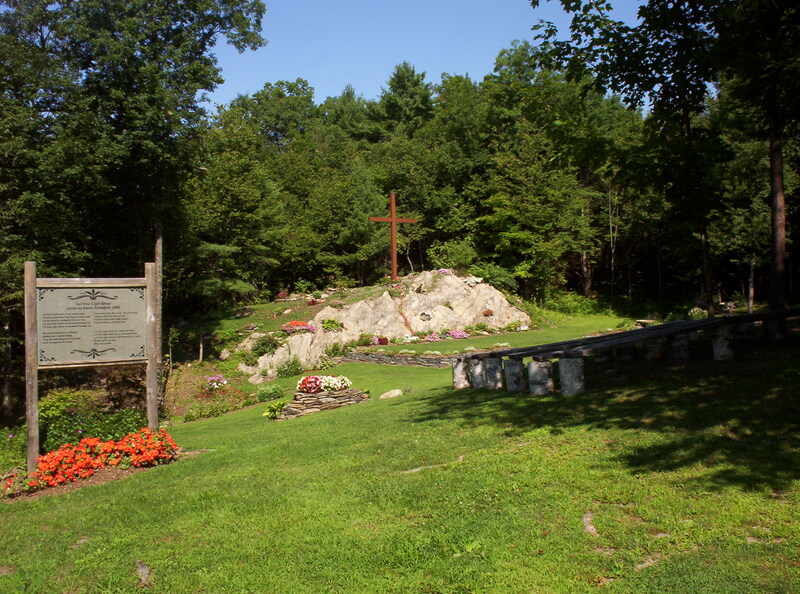 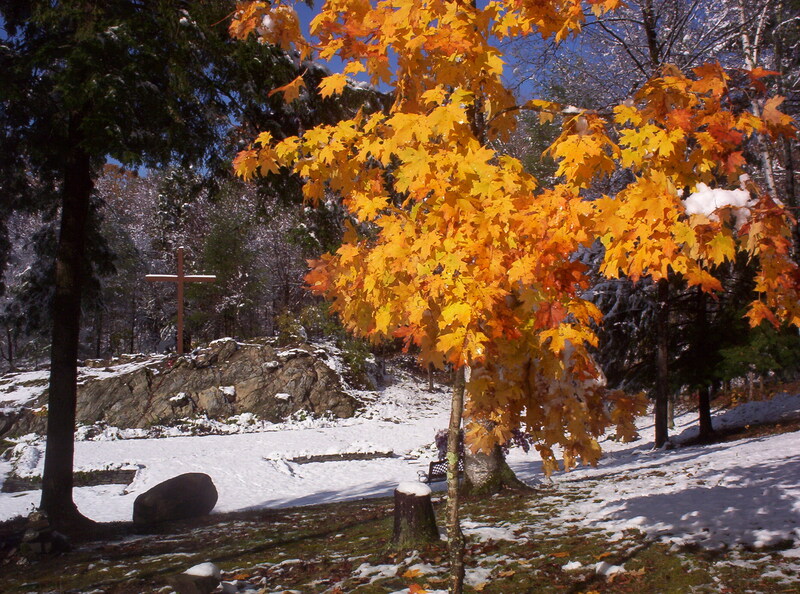 The path leading to the cross. 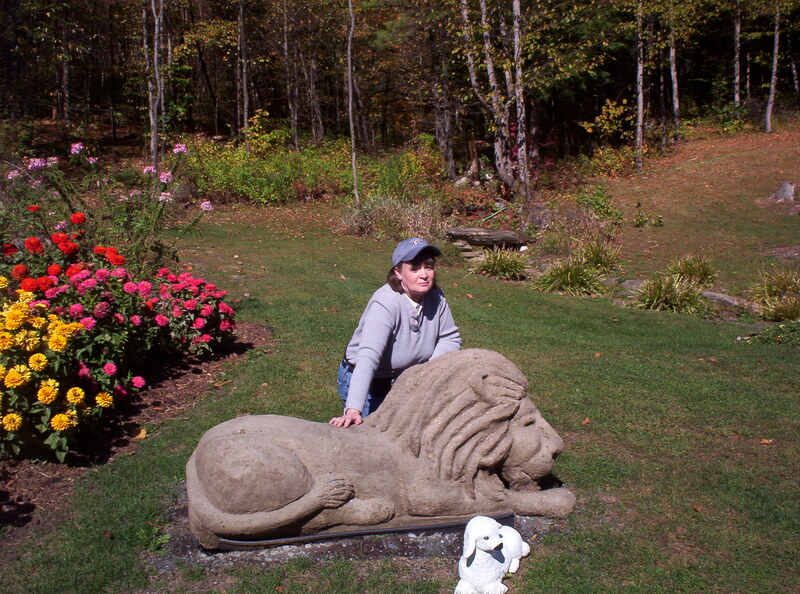 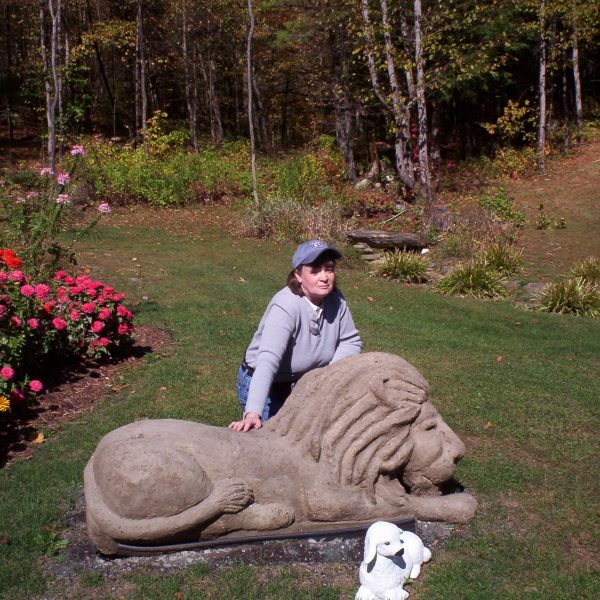 Ann with the cement lion. 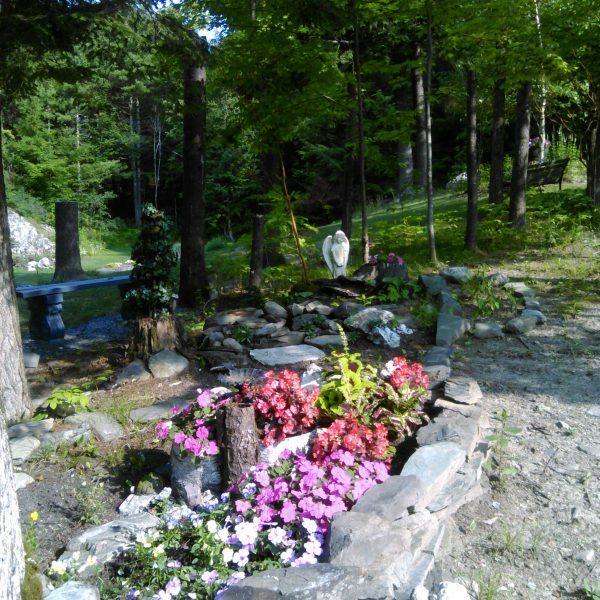 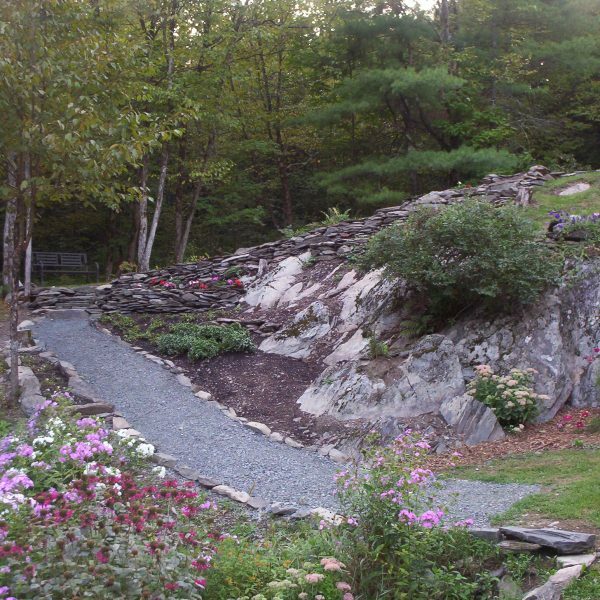 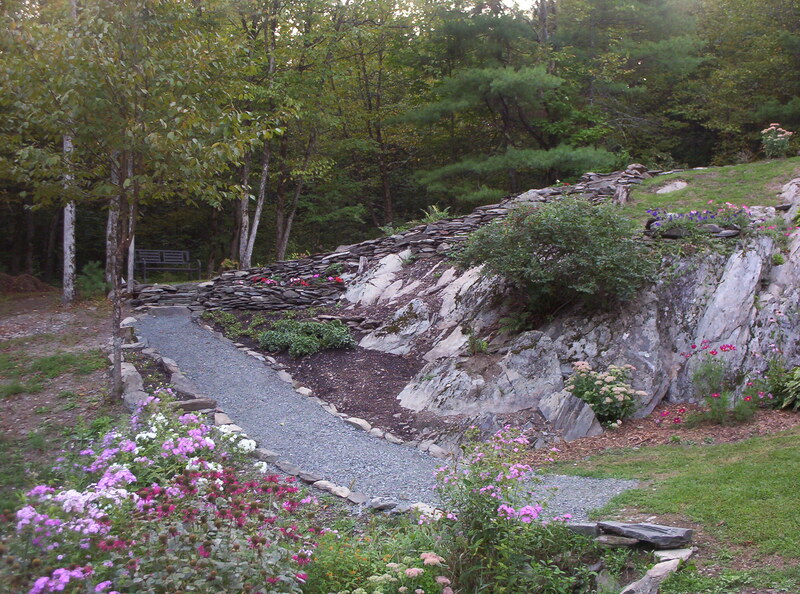 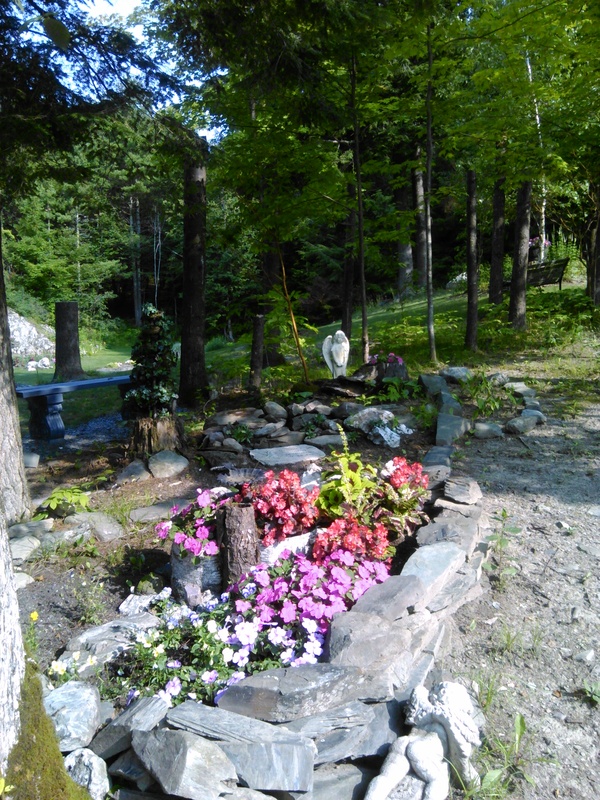 A close-up of one of the rock gardens. 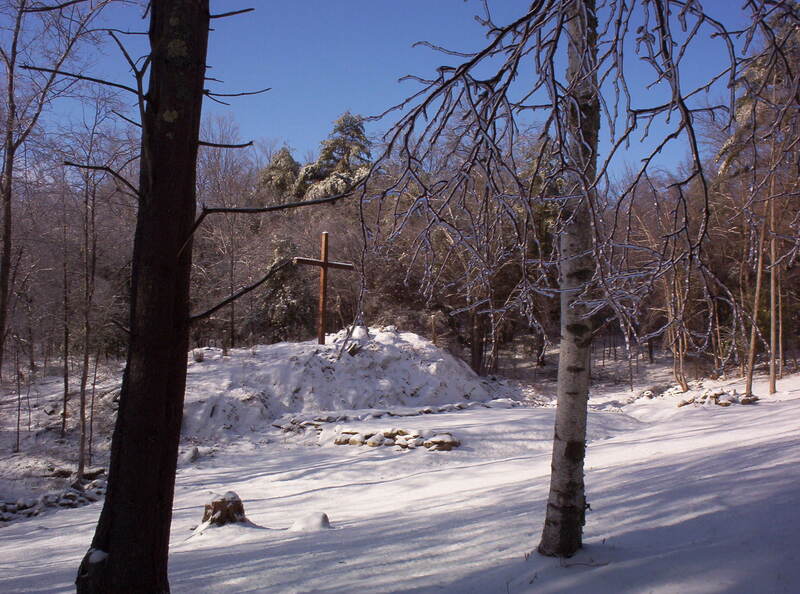 A hawk perches on the cross to get a better view. 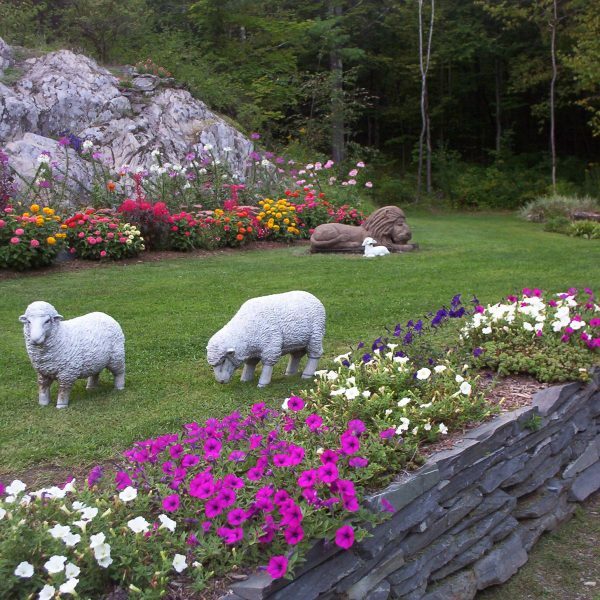 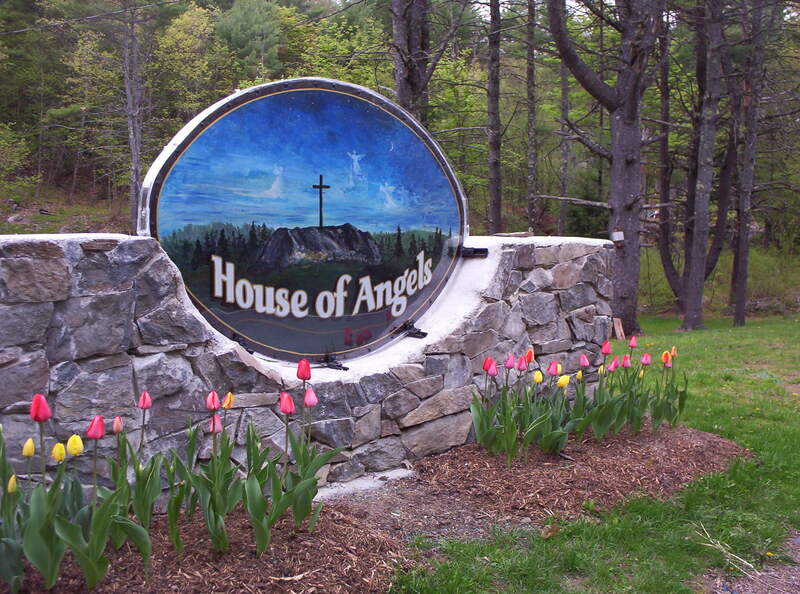 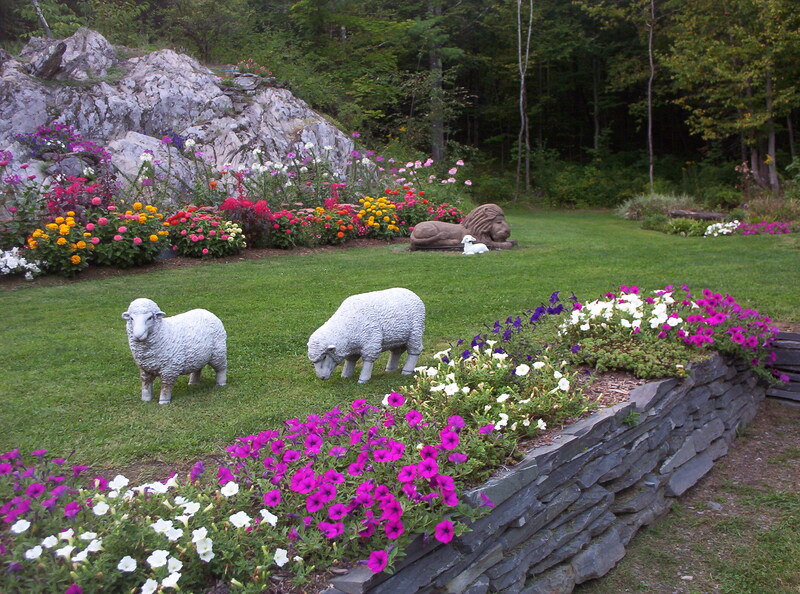 The sign in front of the property was painted by Ann and constructed by Don, who was a former stone mason. 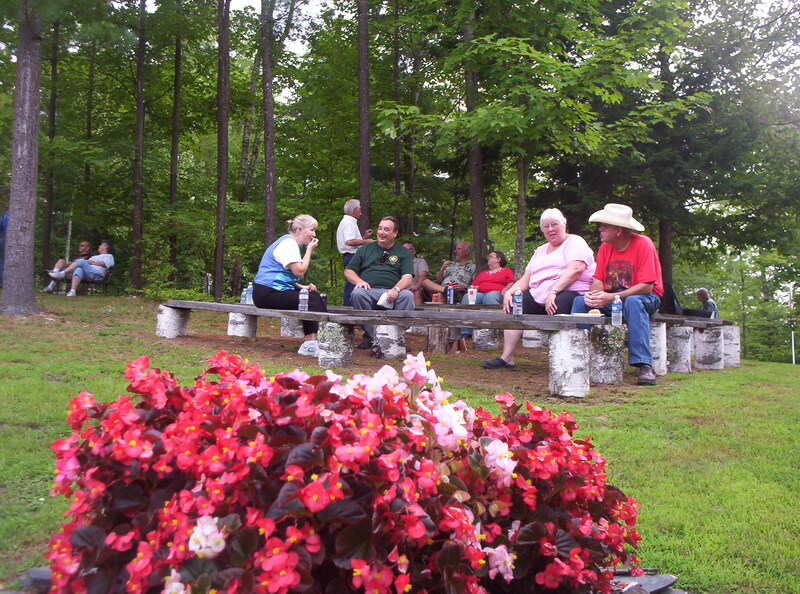 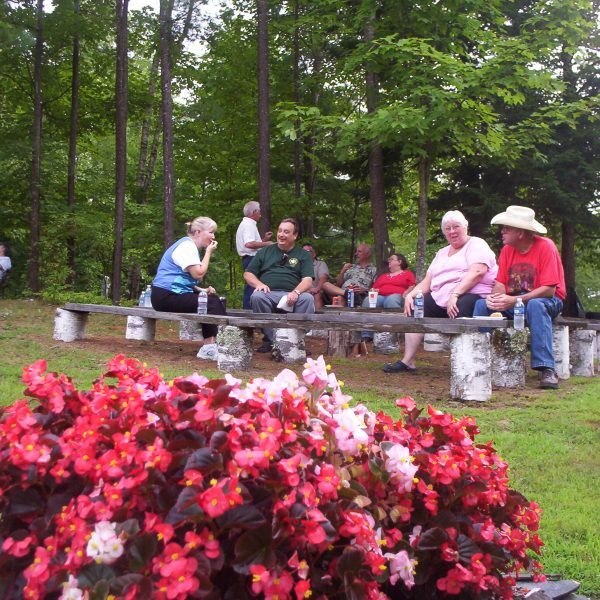 Visitors enjoy a few moments to chat during a Christian music festival at the House of Angels. 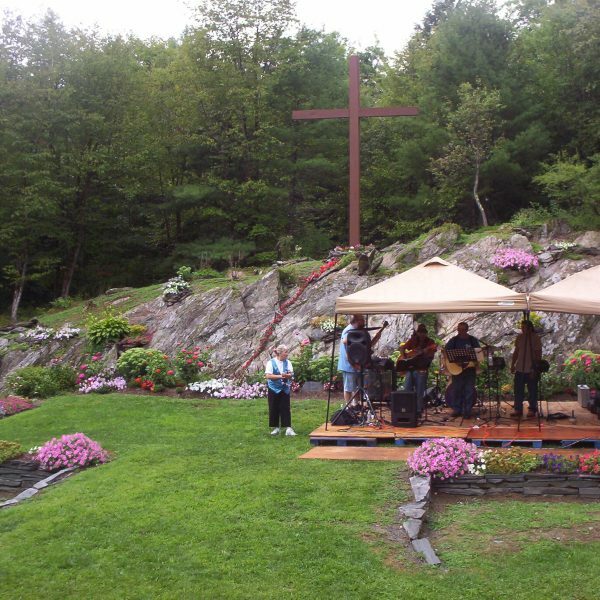 Entertainers tune up during a Christian music event at the House of Angels. 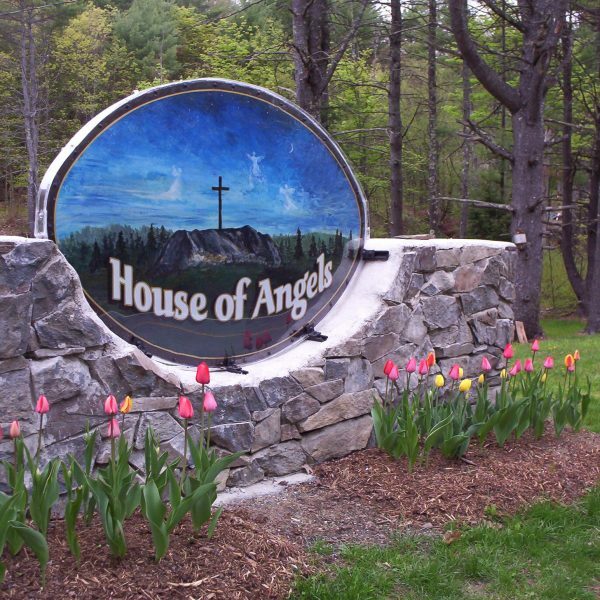 A beautiful winter's day at the House of Angels. 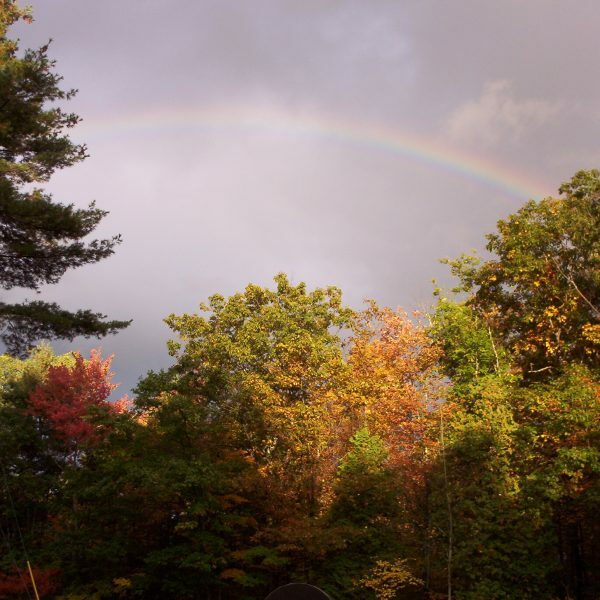 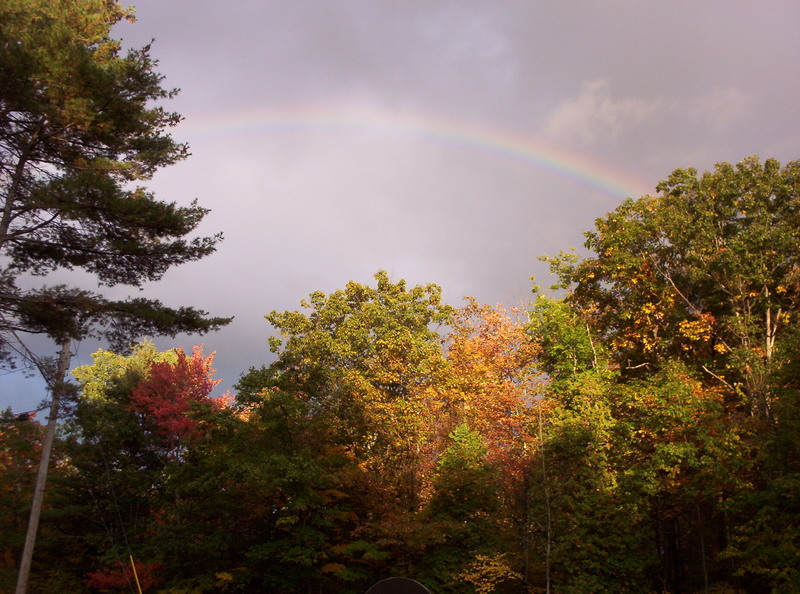 A rainbow hovers over the property on a beautiful fall day. 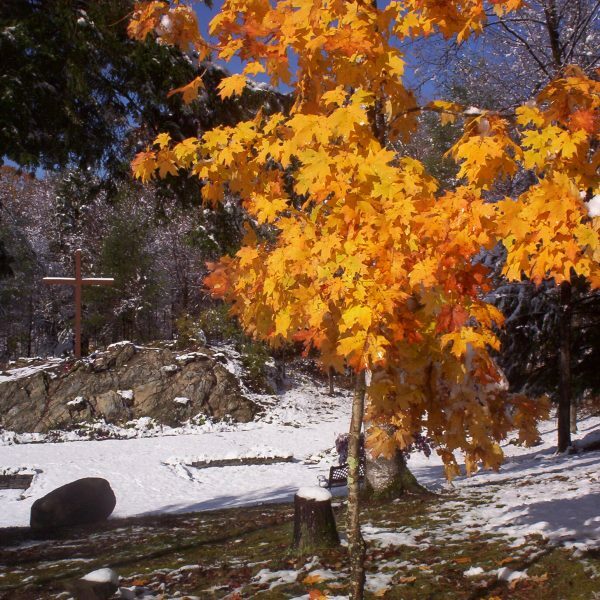 A maple tree refuses to relinquish its beauty at the onset of winter.